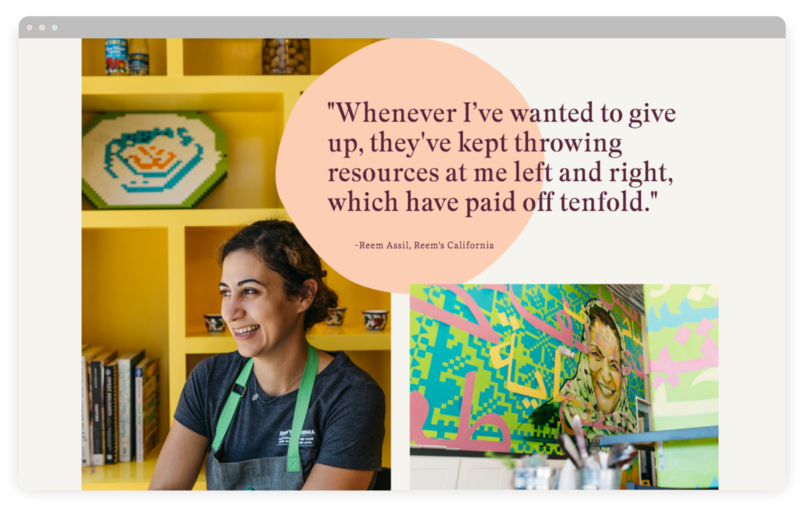 Telling the story of an impactful non-profit. 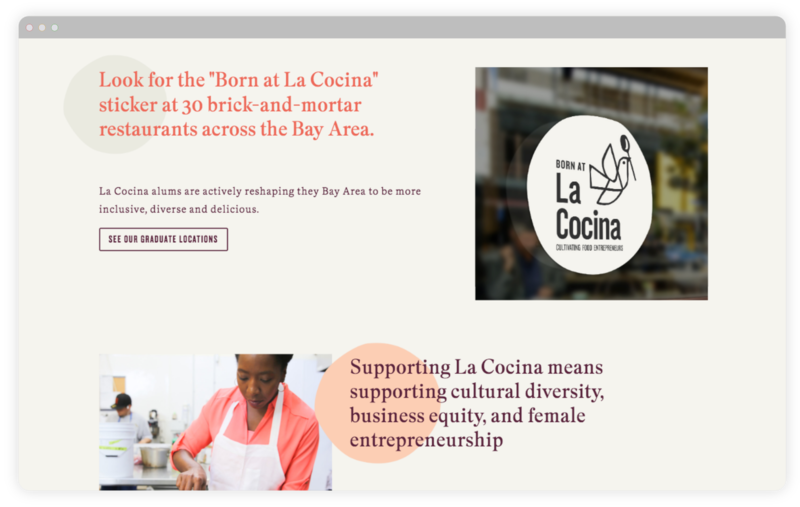 Through my University, I was connected with La Cocina, a Bay-Area non-profit that solving problems of Food Equity. 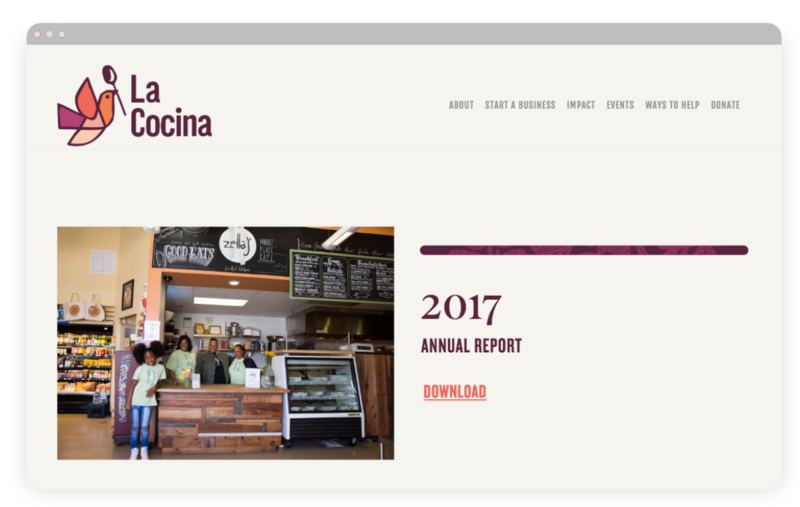 La Cocina was doing some amazing work with real impact, but struggling with their online presence. I helped them construct their story from the ground up. We discussed what was most important to them, how the public thought of them, and what stories they wanted believed weren't being told enough. 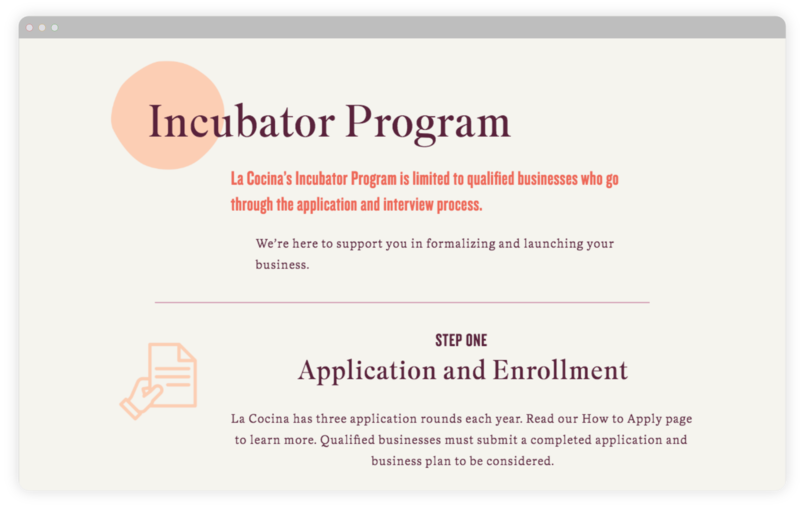 The website is meant to increase donations as well as applications to their entrepreneurship incubator, so it was key that the site could appeal to both audiences. I decided to let rich photography lead you through the website, and accentuate the photos with playful colors. Each page has an individual success story show in different, and each of those stories prove they are accomplishing their mission. 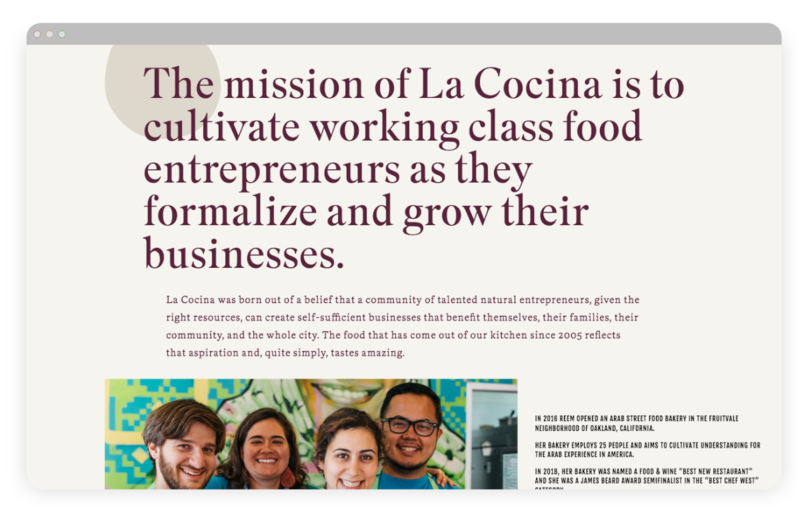 La Cocina had recently gotten a new brand identity from local studio Office. Office created a brilliant set of brand guidelines, that I was able to implement throughout the website. Accessibility was key to La Cocina, and not just among devices but among languages. I had to ensure that each page worked just as well on mobile, tablet, and desktop. 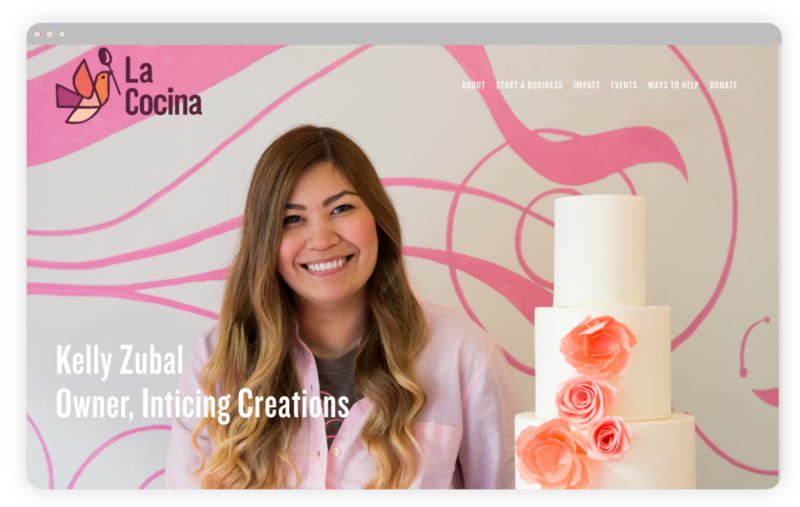 It was also important that La Cocina would be able to maintain the website without me, so I was careful to be open with them as I was designing to ensure they would know how to make changes as their organization grows. I had to make sure the story came across equally well on mobile as well as desktop. Luckily, the brand identity system, developed before I started by Office, was very flexible. I used brand identity assets in unique ways across breakpoints on the website, but made sure the story stayed the same. 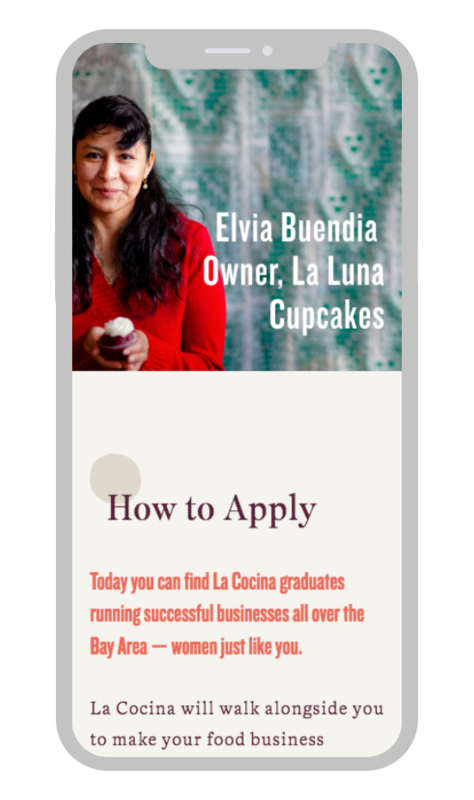 I did much of the custom coding, and had some help from professional developers for mobile and tablet formatting. This meant me as the designer communicating to developers how the design should behave across devices. 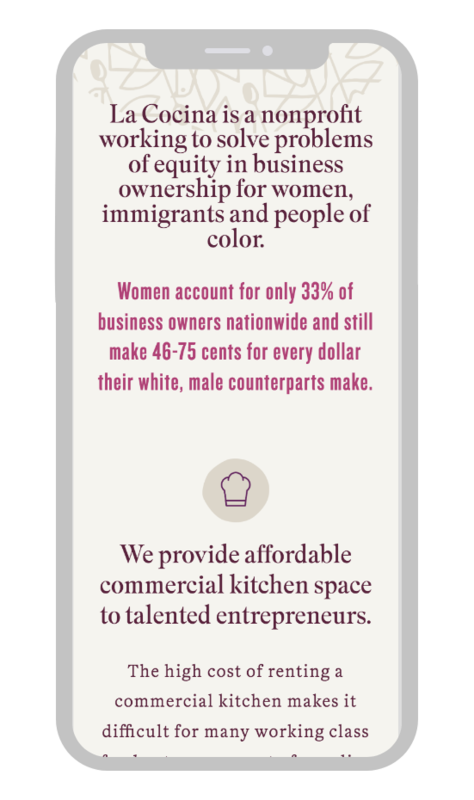 I included the non-profit and the women they were helping in every step of the design process. 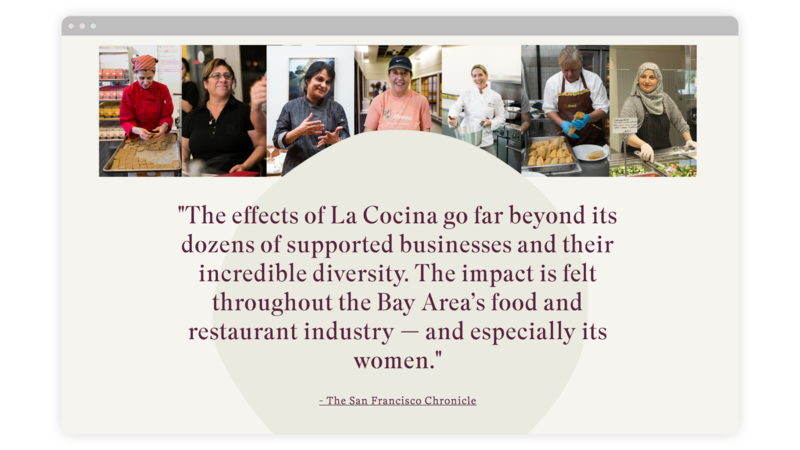 La Cocina works with many different women across many different backgrounds, and I wanted to make sure I was doing my best to tell their stories in the right way. Developing a system for staff to build the site as the organization grows was one of the goals. 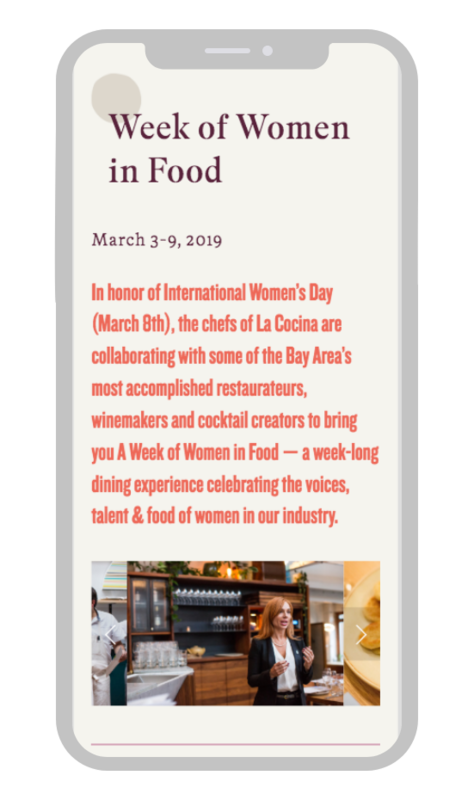 La Cocina hosts many different events and knew they were going to need to make consistent changes to site. I created a system that they could easily manipulate and grow as the organization changes. 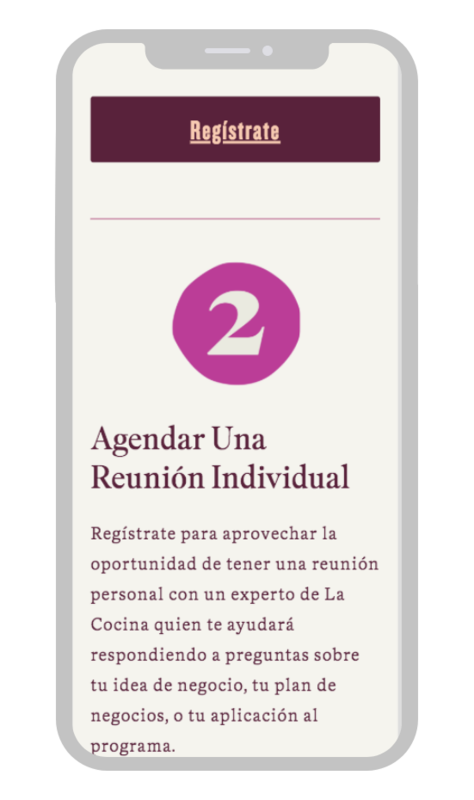 The audience can engage with different aspects of the La Cocina story in different ways. ‍Design and development by Winston Struye. Using Brand Guidelines created by Office.